This joyous company comes direct from Mexico to share its country’s rich cultural gifts of dance, music, folklore, and costumes. In this spellbinding performance, Ballet Folclórico Nacional de México de Silvia Lozano showcases its country’s finest music and dance, pulsating with hypnotic rhythms and swirling colors, including a mosaic of traditional folk dances such as the Jarabe Tapatío, the Deer Dance, the Aztecs/Concheros, and more. This vital cultural institution is directed by the acclaimed artist Silvia Lozano, an internationally recognized leader in the preservation and promotion of authentic Mexican folklore. 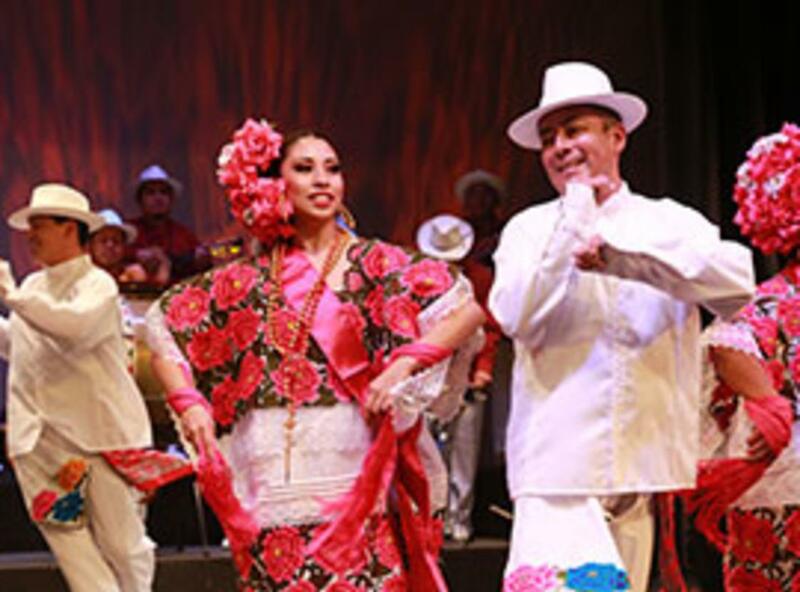 Since its founding in 1952, Ballet Folclórico Nacional de México de Silvia Lozano has been touring the world, entertaining audiences, and demonstrating the richness of the Mexican culture. 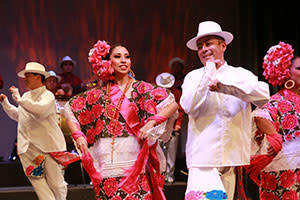 Experience for yourself the very essence of Mexico in this lively performance.